The SENSE Jubilee Conference was a one-day event especially for people working in the fields of English-language editing, translating, interpreting, copywriting and teaching communication skills. If you were lucky enough to have been there on the day, you'll know what a wonderful success the conference turned out to be. 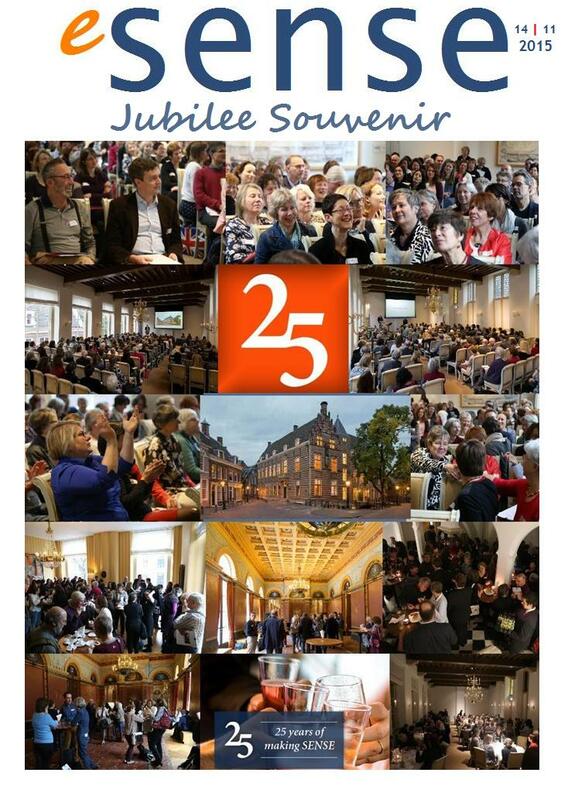 If you couldn't make it, or perhaps would like to gain an idea of what the next SENSE conference might be like, download this special issue of our house magazine that I made to commemorate the conference — eSense 25th Jubilee Souvenir, 2015. The Jubilee Souvenir was published on 1 December 2015 and it's my most successful publication for SENSE to date. It's already been downloaded a super record number of times, and it's only been out a couple of days at time of writing. Needless to say (but I'll say it anyway) I am THRILLED to bits with the response. SENSE is an association based in the Netherlands for English-language professionals. 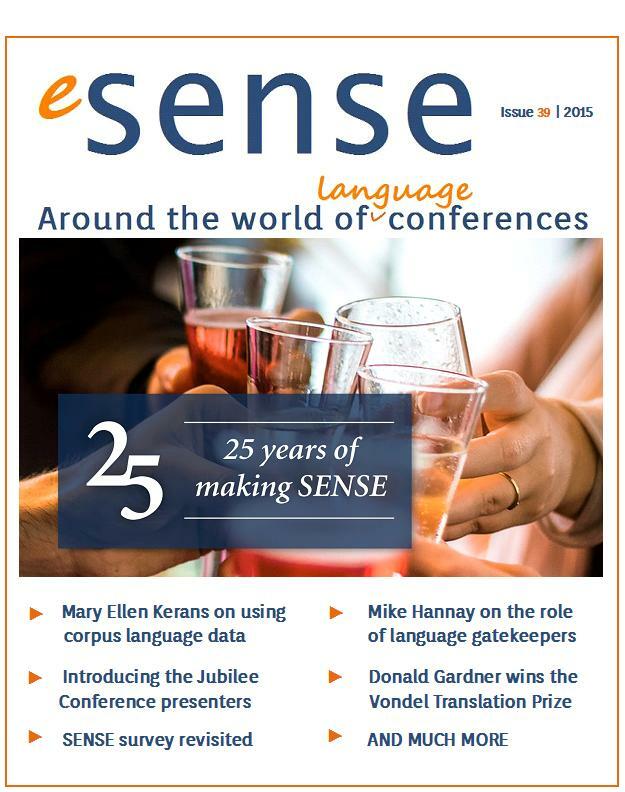 I'm the editor of eSense, the ezine SENSE publishes with the aim of providing useful and entertaining content of interest to language professionals in the international community. 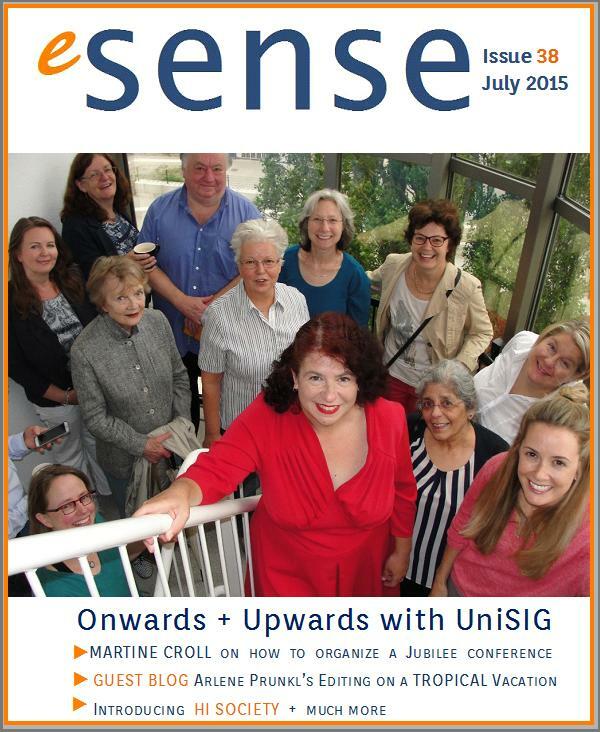 Download your free copy of the JUBILEE BUMPER ISSUE celebrating the 1st SENSE Conference: eSense 39 | 2015. You will need Adobe Reader to read it (to download, click here). Is it really true, are the Dutch always so terribly blunt? You hear that often, especially in English-speaking countries. We, the Dutch, don’t feel it is true. We may be forthright and direct, both of those. But blunt? Of course not! So what’s going on here? Do we have a hereditary defect, which prevents us from seeing our own bluntness? Or do the others see us in the wrong light? Are they prejudiced against the Dutch? Well, about the latter, naturally, I can’t say a thing. But I can say something about the former because we are not blunt, certainly no more than other citizens of the world. It’s just that our politeness is hidden in our language. It goes like this. Read more: Are the Dutch blunt? SENSE is an association based in the Netherlands especially for people working in the fields of English-language editing, translating, interpreting, copywriting and teaching communication skills. I'm a member of the Executive Committee in my capacity as Editor of our digital magazine, eSense. 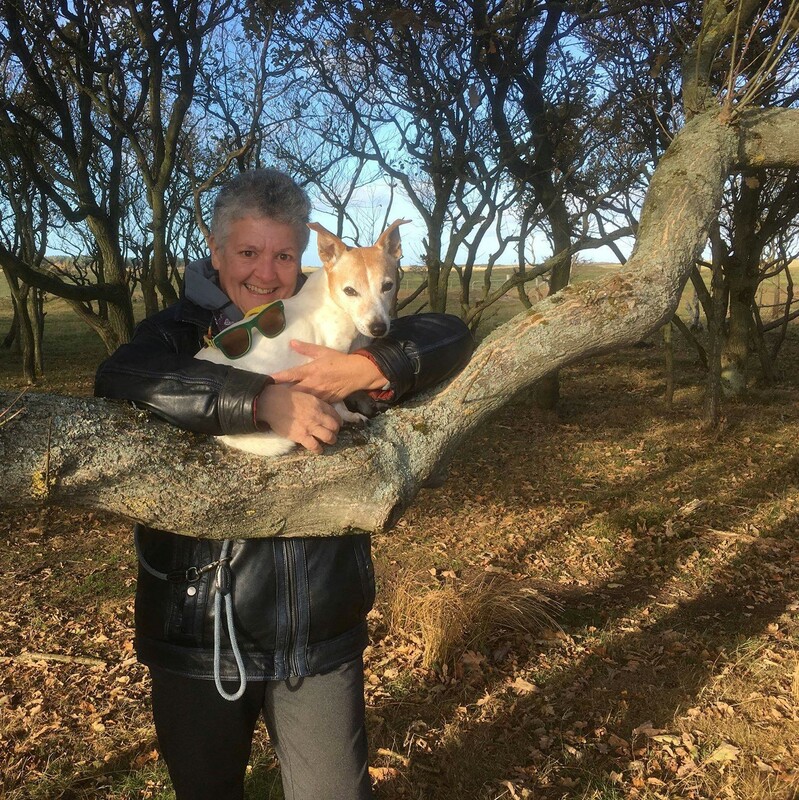 We publish the magazine quarterly with the aim of providing useful and entertaining content of interest to English-language professionals in the broad SENSE community. eSense appears online for SENSE members only but we also produce a pdf version for anyone interested in reading it. Please feel free to download your free copy of the current issue here: eSense 38. Save it to your computer, or mobile reader, or print it out to read at your leisure. Perhaps the most precious place in the NEEDSer office is our pronk plank. * Pardon our flamboyance but we feel ever so proud, flaunting these two new additions to the plank. Gerard Kingma has signed our copies: "To the Word Fairy". He's happy with the editing we've done for his books, and needless to say, we're more than happy with the results. Look inside Into the Frame. 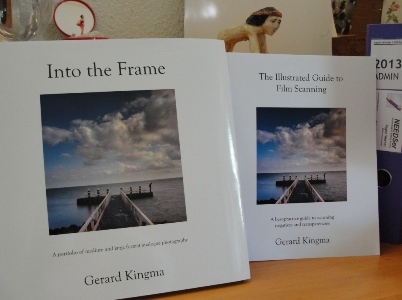 And If you would like to see more of Gerard Kingma's gorgeous photos, here is his website. * lit. trans. “show off plank”. "When you make a mistake, make it beautiful."